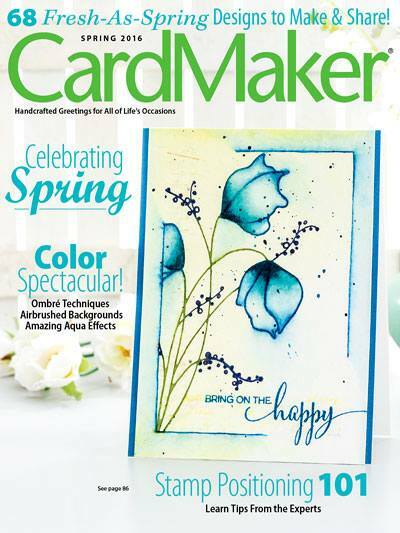 Last week I watched a video by Jill Foster over at Penny Black. She was watercoloring leaves and giving great instructions as always. Does this woman have mad coloring skills or what? I loved her card so much I wanted to create something similar. Of course I didn't have the exact stamps (do we ever? )...so I used what I had in my stash. The watercolor panel is actually a 4" Inchie Square. 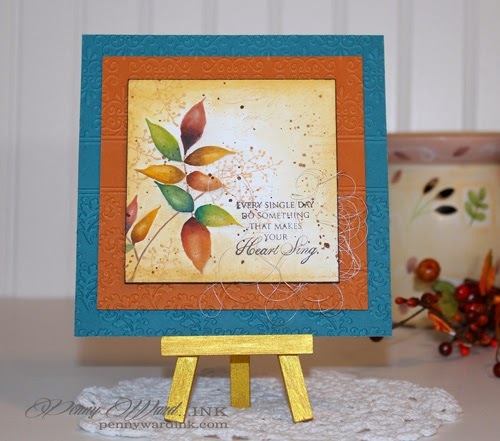 I stamped it with a script background, the leaves & berries. 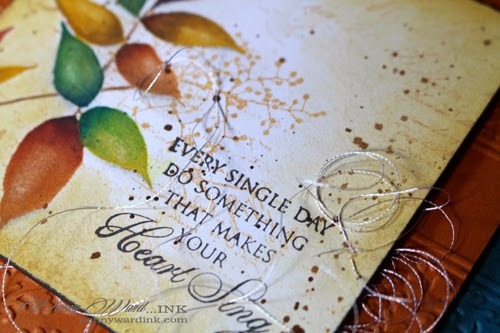 Flicked a little brown paint after watercoloring image, then stamped the sentiment. Embossed the matching panels, mounted each layer with foam adhesive as I knew I was not going to use this as a card, but rather a piece of art. Go check out Jill's video. She just makes everything look so easy! Love this - artwork and sentiment! So beautiful and the video is brilliant too!